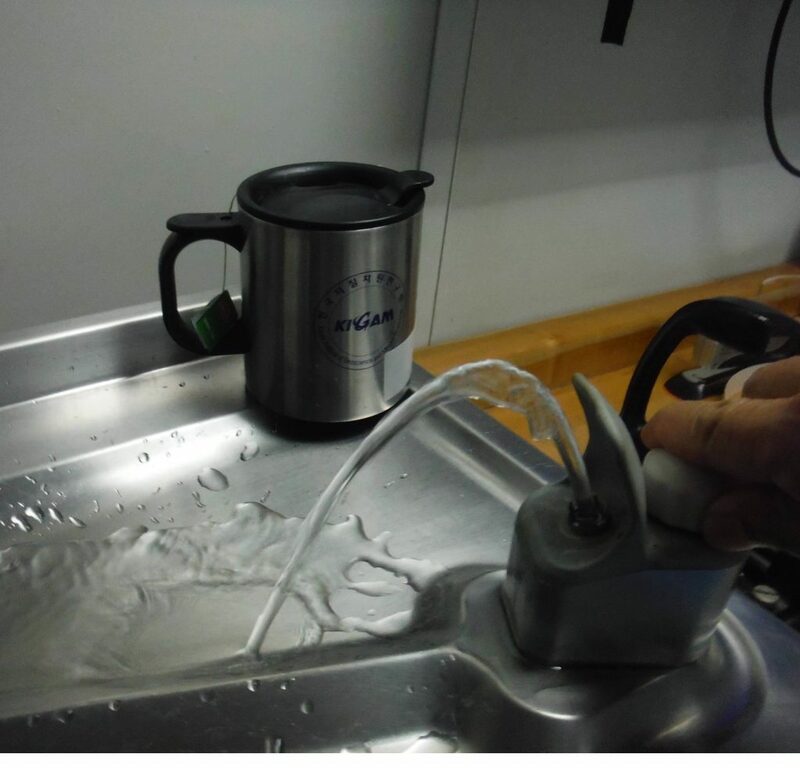 Water is a crucial question everywhere even on a ship !! aboard the water tanks hold 150 Tons ( 150000 L): that is to say 3 day supply ! So the ship has to produce fresh water very soon after the departure. The production is about 50 tons of fresh water a day; about 575 L /pers/day ( average consumption in USA : 400-500L /pers/day). How to produce fresh water? By desalination: using sea water, removing salt. 2 processes are used after the sea water has been pumped into a tank through a steel mesh and a 30 micron filter. The water is poured out in an other tank under low pressure where the water can boil at 165°F ( instead of 212°F at standard atm. pressure. 165°F = +/_ 73,9°C). the water is finally collected in a holding tank. At different levels of these processes the water is treated by chemicals as bromine and chlorine .